Episode 1 was previewed at a screening in Tokyo on September 28, 2013. Regular broadcasting began on October 4, 2013. Kill La Kill’s Toshio Ishizaki won the Tokyo Anime Award for Best Character Design in 2014. 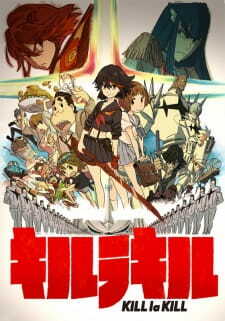 The series got another Character Design Award along with a Storyboard Award, Soundtrack Award, Theme Song Award (for Sirius), Mascot Awards (for Senketsu and Guts), Female Character Awards (for Ryuuko Matoi and Mako Mankanshoku), and Series Award for TV Broadcast in the 2014 Newtype Anime Awards.